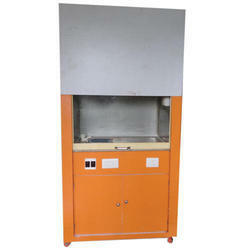 Manufacturer of a wide range of products which include steel fume hood and stainless steel fume hood. 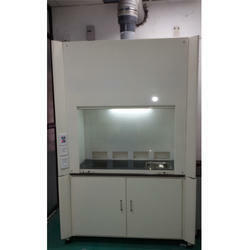 We are able to attain complete client satisfaction by offering a wide range of Steel Fume Hood. These are intricately designed in several sizes depending upon the containment level. Our offered range of Stainless Steel Fume Hood is manufactured from high-quality stainless steel with a firm coating of mild steel powder. Based on the requirements of various application areas we manufacture this range. These products use Activated Carbon filters in order to throw out the toxic and harmful fumes. Further, these hoods are also effective in protecting human bodies from toxic gases through exhaust blowers. With the variety of types, these products are also customized. Negative Pressure inside of the chamber.